Tailored for active older adults, who want to focus on muscle conditioning and light weight activity, Zumba Gold Toning blends low-intensity strength training with a fun party atmosphere. 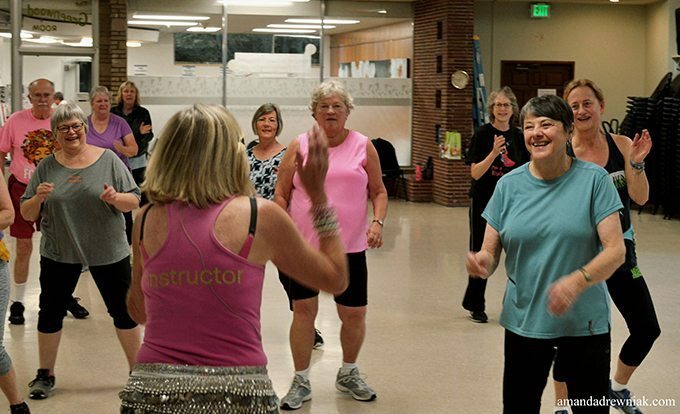 Zumba Gold is a dance party that is designed to meet the needs of seniors and those new to working out. It has many health benefits, is easy to follow and is low impact. Drop-ins and adults of all ages welcome. Students may work in watercolor, acrylic, charcoal or colored pencil. Drop-in class; beginners welcome in this friendly, relaxed class. There is excellent research on the subject of happiness. In this group we’ll explore how to act on this research and create happier lives. Join a great group and learn to paint, led by instructor Glen Oberg. Some experience is necessary. You can't break what's already broken! Meet up simply for the fun of taking stuff apart, putting it back together again, and maybe even fixing some things in the process.